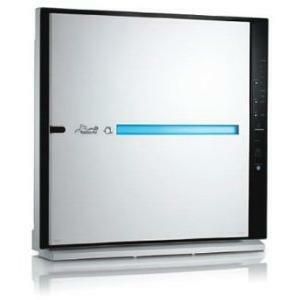 Home » Article » Is Coway AP-1012GH Your Best Low-Cost Air Purifer Bet? Among the very best air purifiers are IQAir HealthPro Plus and Alen Breathesmart. If there is anything that stops air purifier buyers from flocking to them, it is price. So, if you have a budget of $150-250, what would be your best bet? 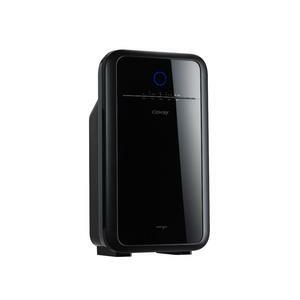 Coway AP-1012GH Smart air purifier is definitely one of them. Let’s put this air purifier model under the microscope. At the end of this air purifier review, you can then decide if it’s worth your bucks. 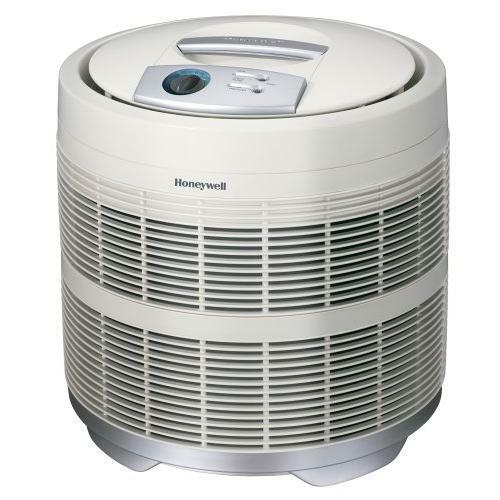 What does a Coway AP-1012GH Air Purifier have to Offer? 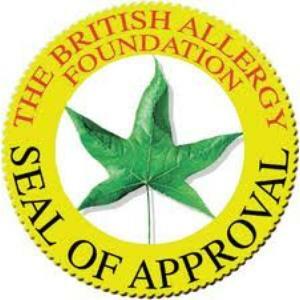 Coway AP-1012GH: Endorsed by British Allergy Foundation. Verified by AHAM. It is no secret that single layer filter system is definitely insufficient to produce a high performance air purifier. It doesn’t take a genius to know that no single type of filter can do the job in removing all the pollutants circulating in the air. For example, a HEPA filter that so effectively removes dust, allergen and pollen is simply not capable of removing the odor in the room. Likewise, a charcoal activated carbon filter simply does not make the cut in removing tiny particles. 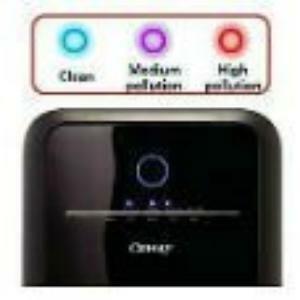 Coway AP-1012GH Smart air purifier may not have 5 or 7 stages of filtration system. 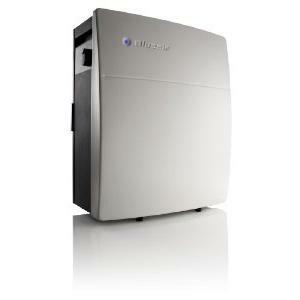 Such system is expensive and can only be found in higher end models such as Blueair 503 and Rabbit Air Minus A2. Nonetheless, Coway AP-1012GH does come with 3 stages of filtration process. It takes 4 individual filters to do the job. First is the pre-filter. If we imagine air purification as a battle against the tiny and invisible particles, the job performed by the pre-filter is comparable to that carried out by the infantry unit. This is the forefront of your battle and it is designed to trap the bigger particles. With all the big particles removed, the next stage of the battle is usually fought between HEPA filter and the smaller particles. Certified True-HEPA filter is capable of stopping 99.97% of particles with size 0.3 microns or larger. Some basic info here. The median dust diameter is said to be around 10 microns. But for Coway, they decide to place the carbon odor-removing filter prior to its HEPA filter. As its name implies, this is the part of the air filtration process where odors (burnt, tobacco and pet smells) in the air are being removed. 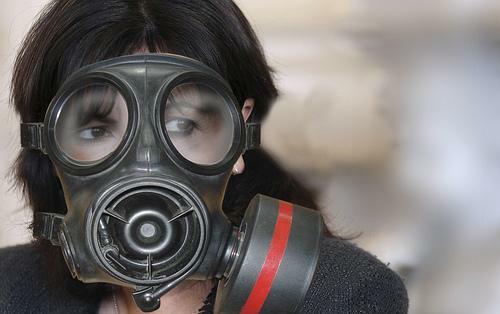 The last stage of any good air purification pathway is the negative ion generators. I spoke to lots of people and lots of them don’t seem to understand what good negative ions do to the air they breath. After trying to explain with several version of reasonings, I found the simplest explanation is this. Do you always feel the air is fresher immediately after lightining storm is over? If you do, it is because the high concentration of negative ions. Positive ions are believed to cause migraines and depression while negative ions are believed to cause soothing effect. So, the next time a friend ask you why you need a negative ionizer, you’ve got the answer! 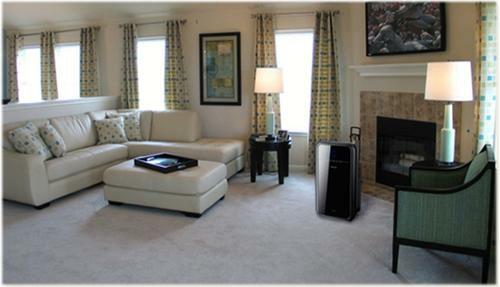 There are lots of numbers that you need to figure out when you’re selecting the best air purifier. Clean Air Delivery Rate (CADR) alone is usually further broken down into 3 – smoke, dust and pollen. But what good do the numbers mean if it is a self-proclaimed numbers without independent party verification? 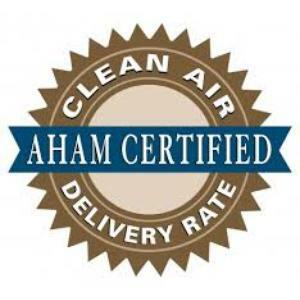 When it comes to air purifier, AHAM Verifide seal issued by Association of Home Appliance Manufacturers (AHAM) is the gold standard. When you see an AHAM Verifide seal, you know that you can trust the numbers found in the product specification. For Coway AP-1012GH, it is recommended for use in rooms up to 256 sqft. 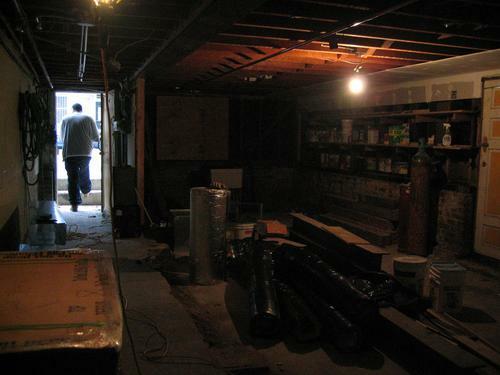 It doesn’t mean you cannot use it for larger rooms. Just keep in mind that the numbers may not apply if you so decide to dispatch this in a larger room. Another sign of assurance when you’re buying the Coway AP-1012GH is the stamp of approval that it earned from British Allergy Foundation. According to the official definition, the ‘Seal of Approval’ gives you the assurance that the product has been scientifically tested. And products bearing the seal have been proven efficient in removing or bringing down the pollutant elements that are harmful to allergy and asthma sufferers. One of the killer part of owning an air purifier is the cost of filter replacement. It is our right to hold the manufacturers responsible for designing air filtration system that prolongs the life of the filters. For the case of Coway AP-1012GH, each carbon filter is expected to last for a year while each HEPA filter is expected to last for 3 years. But based on my experience, the effectiveness or lifespan of your filter is still very much dependant on 2 things. First is the pollutant level of the air and second is the regular maintenance done to it. While it is generally advisable to clean the filter every 2-3 months, no one stops you from doing it once every month. Especially if you’re living in areas where pollen counts are generally higher. Price is the major reason why buyers opt for the Coway AP-1012GH. Of course it wouldn’t be fair to compare this air purifier with something that costs 4 or 5 times more. 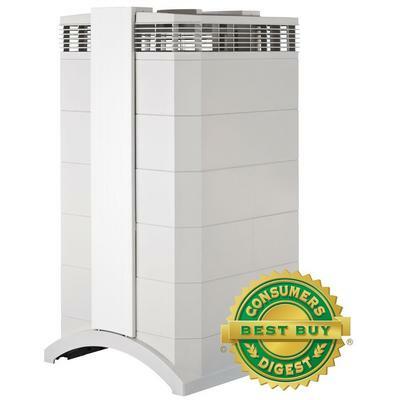 But if we take dollar for dollar matching, you have one of the better air purifier with Coway AP-1012GH. It knows when the Dogs are coming! One of the feature that owners of the AP-1012GH often rave about is its smart particle sensor. This is especially true among pet owners who have shared their reviews. A friend of mine owns this air purifier and he happens to own 2 dogs. As much as he loves the dogs, he hates it when the dogs roam around the house and drop their hairs every where. He shared with me how he noticed the air quality light turns from blue to purple or orange when his dogs pass by or come near the Coway air purifier that he placed in the corner of the living room. To cut a long story short, I personally believe Coway AP-1012GH offers a compelling proposition as a good investment. If you’ve been going back and forth to the doctors or you’ve been suffering from itching eyes, but want to give air purifier a try, the low price point makes it a worthy consideration. But if only the best will make the cut for you, check out which air purifiers are best designed for allergy and asthma sufferers. But if odor and smoke is your more serious enemy, you may want to check out the best air purifiers for smoke and odor removal instead.